On the shortest day of the year - December 21st - Celebrate Short Fiction Day, the public is being encouraged to curl up with a good short story. Pixel Hall Press, the company behind Celebrate Short Fiction Day, wants other publishers to join them in creating a groundswell of interest in short fiction. On December 21st, the Winter Solstice, take advantage of the longest night of the year, by getting lost in a great short story. 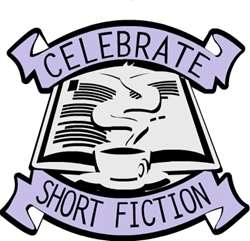 The first Celebrate Short Fiction Day -- founded by author Nancy Christie -- will be this Saturday, December 21st. On that shortest day of the year, Ms. Christie asks, "Why not spend the long night curled up with a great short story?" Pixel Hall Press, Ms. Christie's publisher, has fully embraced the idea of an annual festival of short fiction, and has not only gotten fully behind it with publicity, but also is offering the public complimentary short stories to help jumpstart the festivities. Mr. Eastman's Empathy by Daniel Grotta, the story of an ordinary man who vows to fight Death itself with the one weapon at his disposal: his empathy. Divine Lawsuit by Eric Nielsson (illustrated by Jay Munro), a micro story from the collection "Cautionary Tales from the New Millennium" which reaches below the funny bone to expose insights and truths about who we are and what we are becoming. Both stories are available for anyone to share on the Web, via email or however they wish, as long as the files remain intact with no changes. As the number of smartphones, iPhones, Kindles and other eReaders, tablets, iPads and other portable devices soars, the public's appetite for intriguing and entertaining material to read on them is growing. This has led to a resurgence in the popularity of short stories in general, both in print and digital forms. With that in mind, December 21, 2013 has been designated Celebrate Short Fiction Day to recognize the rebirth of short story reading as a highly popular form of personal entertainment. Pixel Hall Press has predicted, "the market for short stories and novellas is about to experience a renaissance. The length of a story is going to become irrelevant. All that will matter is whether it's a great story that captures the readers' interest and imagination." Whether readers choose to enjoy it on an e-reader or prefer the tactile pleasure of turning the pages, the result is the same: a feeling of pleasure and satisfaction from reading a complete, beautifully crafted story in one sitting. So, this holiday season, Celebrate Short Fiction Day invites us to read a new short story and discover a new author. In this era of digital technology, Wall Street involvement and merger mania, mainstream publishers seem to have lost sight of the core principles and purpose of publishing. At the other end of the spectrum is an avalanche of self-published books that are notoriously uneven in quality. Small boutique imprints, such as Pixel Hall Press, are reclaiming the heart and soul of publishing by reviving the idea that a publisher's "raison d'être" is to find and nurture great writers, and to provide readers with beautiful, meaningful, truly enjoyable books. Read a complimentary excerpt from "Seven From Haven" - The complete story of "Mr. Eastman's Empathy."